Our parish was established in 1978, our church dedicated in 1993. 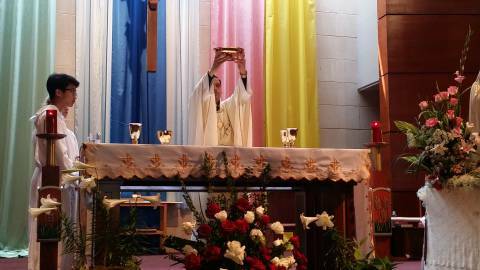 Presentation of Gifts: "It will become for us the bread of life." "It is truly right... to give you thanks, Father most holy." PALM SUNDAY, April 14th: 7:30 a.m., 9:30 a.m. & 11:30 a.m.
HOLY THURSDAY, April 18th: Mass of the Lord's Supper, 7:00 p.m.
EASTER VIGIL MASS, Saturday, April 20th, 8:30 p.m.
Catholics in good health ages 18 to 59 are required to fast and abstain from meat on Ash Wednesday and Good Friday. Fasting consists of eating only one meal, with the possibility of two smaller snacks that do not add up to a single full meal. Gracious, loving and generous God, we thank You for the many blessings You have bestowed on the St. Thomas Aquinas family in the past. We ask you to look with favor and blessing on our St. Thomas Aquinas Cares Capital Campaign. Holy Spirit, give us your gifts of wisdom and understanding. Inspire our parishioners to share the resources necessary to meet the growing needs of our parish for the greater glory of God. May the gifts of the Holy Spirit encourage us in deep faith and gratitude, and help us to commit our resources of time, talent and treasure as prior members have done for us. St. Thomas Aquinas and St. Francis de Sales, give us the faith necessary to make this commitment. O Holy Trinity, we beseech your blessing on our efforts as we go forward with faith, hope and love. Amen. 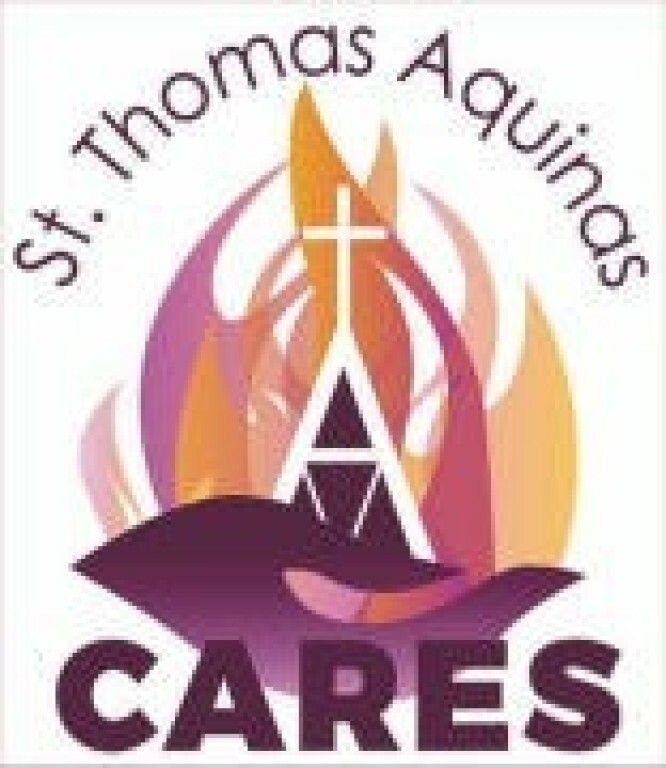 The St. Thomas Aquinas Cares Campaign will address several parish needs and contribute to our mandatory share in the Archdiocesan Ignite Campaign. The monetary goal is $2.5 million, to be used as follows: parish needs and improvement: $1,960,000; Archdiocesan Ignite Campaign: $540,000. Pledges currently exceed $2.2 million. Contributions received to date: $449,008. For details on the planned improvements to the parish, please watch our video below. St. Thomas Aquinas parish is served by the Missionaries of St. Francis de Sales. Missionaries of St. Francis de Sales, also known as Fransalian Missionaries, is an international missionary religious congregation, founded in France in 1838 by Fr. Peter Mermier, under the patronage of St. Francis de Sales, to bring about the renewal of Christian life. Fransalians are now in Europe, North and South America, Africa, India and in many other parts of the world dedicated to the renewal of Christian Life by preaching parish missions, evangelization, education and other pastoral ministries. The pastoral ministry and lifestyle of the Fransalians witnesses a spirit of simplicity, gentleness, optimism and availability in service in the local Church. Fransalian missionaries have been present in the United States for more than forty years. At present, fifty priests are in pastoral ministry in different dioceses in thirteen states. 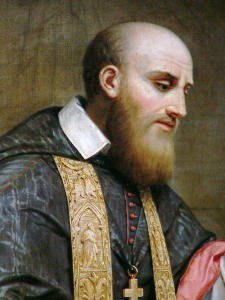 St. Francis de Sales (1567 –1622) is noted for his deep faith and his gentle approach to the religious divisions resulting from the Protestant Reformation. A Doctor of the Church, he is known for his writings on the topic of spiritual direction and spiritual formation, particularly the Introduction to the Devout Life and Treatise on the Love of God. "LOVE DEEPLY, SERVE GENEROUSLY, PRAY INTENSELY." "We the Parishioners of St. Thomas Aquinas Catholic Church are a diverse, Christ-centered community empowered by the Holy Spirit and strengthened by the Word and Sacraments to proclaim the Good News." Fr. 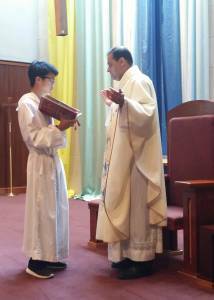 Santy Kurian, M.S.F.S., celebrated his first Mass as pastor of St. Thomas Aquinas on Tuesday, July 1, 2014, and was officially installed by The Most Reverend Bishop George Sheltz at the 9:30 am Mass on Sunday, July 20, 2014..
Fr. Santy is a member of the Missionaries of St. Francis de Sales, a religious order. 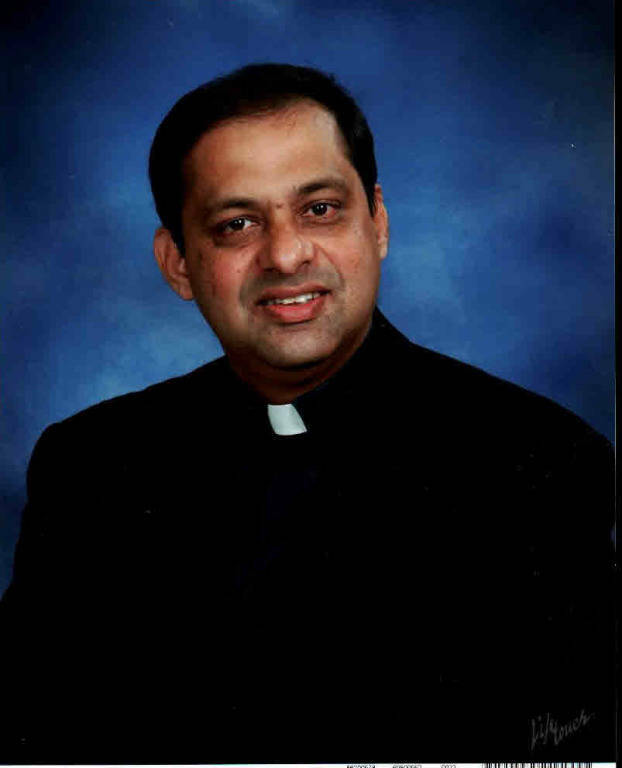 He has served as a Catholic school principal for seven years, a pastor for four years, and as a parochial vicar in India and the U.S. for eight years. A native of Kerala, South India, Fr. Santy came to the U.S. in October 2007. Ordained a priest on May 2, 1995, Fr. Santy notes that "Priesthood is meaningful only when rooted in the Eucharist." The Parish Office & Adoration will be closed on Good Friday, April 19th, and Easter Monday, April 22nd. 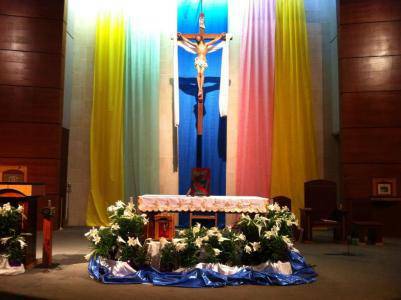 Easter Monday Mass is at 8:00 a.m. in the Sanctuary. 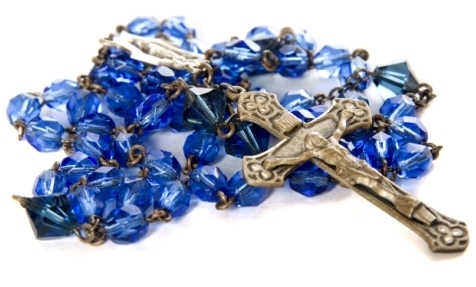 SUNDAY, APRIL 21, 1 - 4:00 P.M.
Join the Catholic Daughters in praying the rosary half an hour before weekend Masses. Submission deadline: Tuesday the week of announcement, 5 pm. Email Verna at vpatout@stasugarland.com. Young Adults of St. Thomas Aquinas (YASTA) meet in the STA Cafe for Liturgical Bible Study on Sundays at 6:30 p.m. FMI: yastahtx@gmail.com. If you have not yet been Confirmed and are over the age of 18, please come to the parish office to get an application form. Classes will begin on March 31, 2019. Tuesdays, 9:30 am, Siena Room. Wednesday, eleven days before the bulletin date. Submit items to lcordova@stasugarland.com. The Catholic Daughters will be leading the Novena to the Divine Mercy beginning Good Friday, April 19th, and each day afterward through April 27th, vigil of Divine Mercy Sunday. We will gather at the Hour of Mercy, 3:00 p.m., in the Divine Mercy Chapel. CDA Court Aquinas will process the image of the Divine Mercy into the 9:30 a.m. Mass on Divine Mercy Sunday, April 28th. 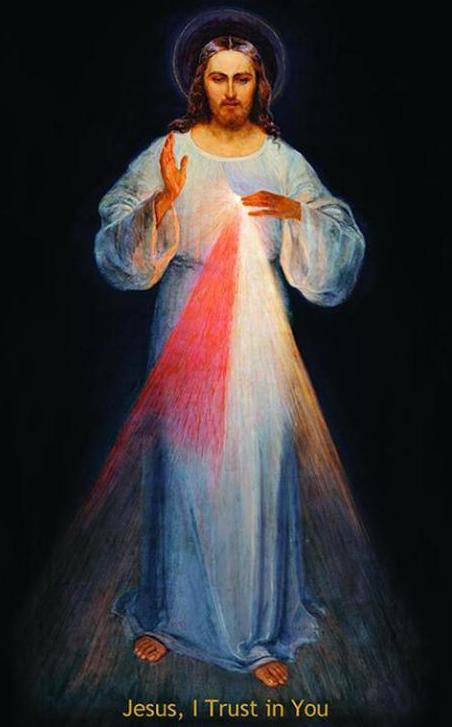 Join us in venerating the sacred image given to St. Faustina Kowalska to remind us of God's greatest attribute: His unfathomable mercy. The Catholic Daughters, Court Aquinas, is proud to present "Divine Mercy Witness," a one-woman show written and performed by our very own Iris Lacsamana. Directed by Kathleen Brown, this show has been performed at the University of St. Thomas, touching many hearts and giving glory to His Divine Mercy. Encourage souls to say the Chaplet which I have given you. ... Whoever will recite it will receive great mercy at the hour of death. ... 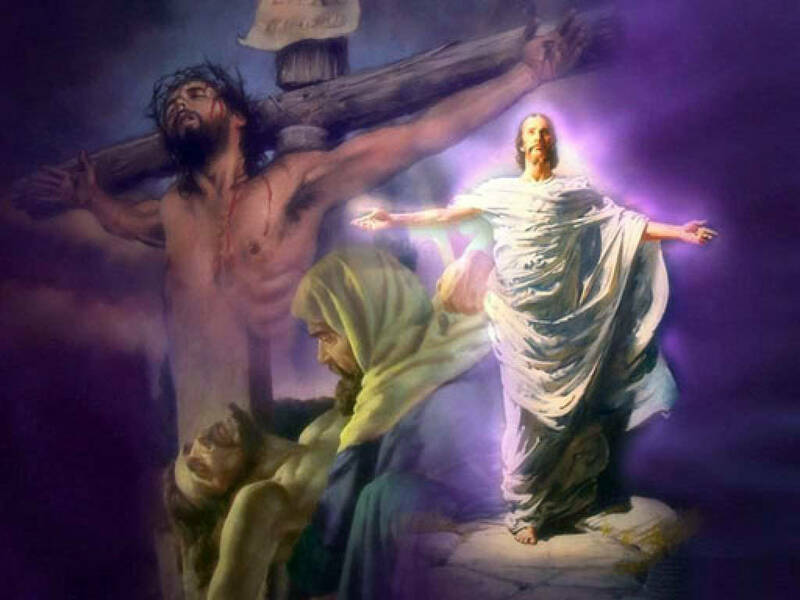 When they say this chaplet in the presence of the dying, I will stand between My Father and the dying person, not as the just Judge but as the merciful Savior. ... Priests will recommend it to sinners as their last hope of salvation. Even if there were a sinner most hardened, if he were to recite this chaplet only once, he would receive grace from My infinite mercy. 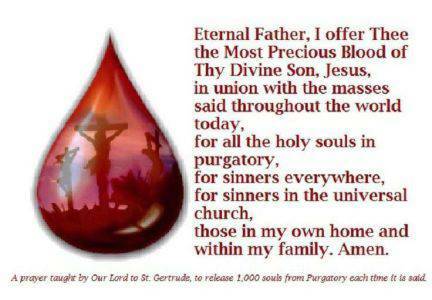 I desire to grant unimaginable graces to those souls who trust in My mercy. ... Through the Chaplet you will obtain everything, if what you ask for is compatible with my will (687,1541,1731). Silence is a sword in the spiritual struggle. A talkative soul will never attain sanctity. The sword of silence will cut off everything that would like to cling to the soul. We are sensitive to words and quickly want to answer back, without taking any regard as to whether it is God's will that we should speak. A silent soul is strong; no adversities will harm it if it perseveres in silence. The silent soul is capable of attaining the closest union with God. It lives almost always under the inspiration of the Holy Spirit. God works in a silent soul without hindrance. (Diary, # 477). 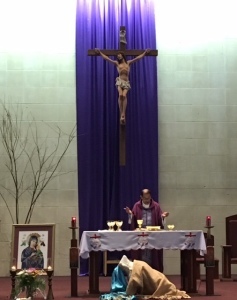 The Divine Mercy Chaplet is prayed in the chapel after daily Mass and the Rosary for the conversion of sinners, for those who will die that day, and for the Holy Souls in Purgatory. Saying the chaplet for the dying at the 3 pm Hour of Mercy is especially powerful and a great Spiritual Work of Mercy. A copy of the original image of the Divine Mercy is in our chapel. Please call: Cecilia Rusca, 281-498-2512. Por favor llamar a Cecilia Rusca, 281-498-2512. Court Aquinas sponsored premiere-showing of "Unplanned." 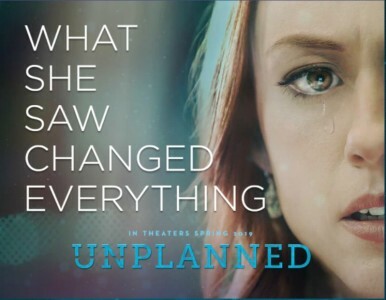 The Catholic Daughters hosted a premiere showing of "Unplanned" on Thursday March 28th. This movie is the story of Abby Johnson, a Planned Parenthood clinic director for nine years who became one of the most avid pro life speakers in the country. 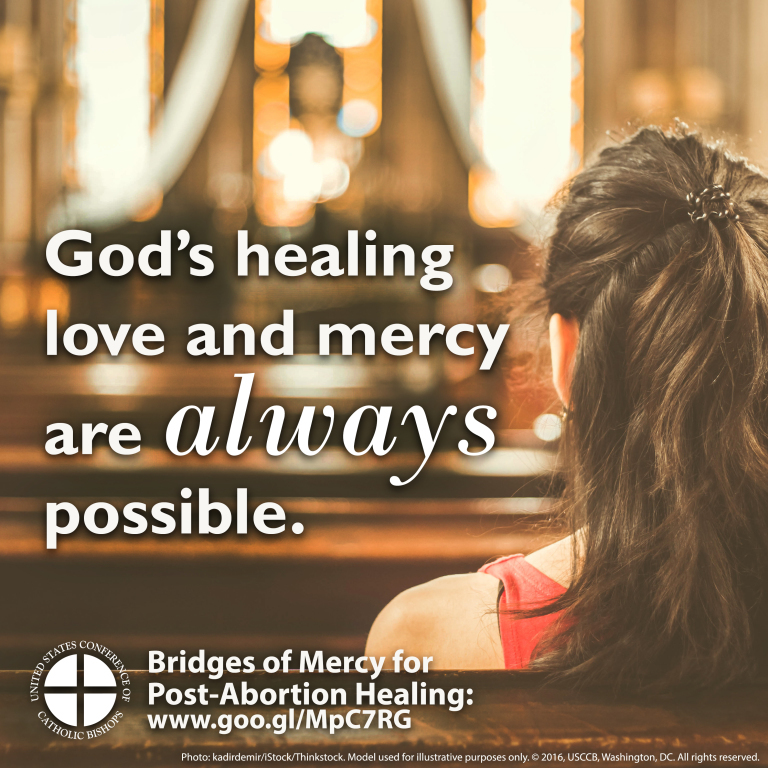 This powerful movie about her transformation is a testament to the power and mercy of God. The movie opened in theatres March 29th. Engaged couples need to contact Verna Patout, 281-240-6721 x 104, six to nine months before your wedding to allow time for preparation. Aquinas Early Childhood Center (AECC) is designed and implemented by St. Thomas Aquinas Catholic Parish in response to the identified need for high quality early childhood education programs in the community. It is licensed by the State of Texas. * Closed circuit security cameras. We offer parishioner discounts. Visit us at 12627 W. Belfort Avenue, Sugar Land, or make an appointment for a tour at 281-240-7196. Our Lady of the Rosary is the title revealed by Our Blessed Mother herself to the three shepherd children at Fatima, Portugal on October 13, 1917. 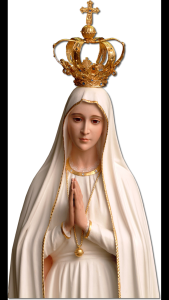 Seven years later in 1925, Our Lady gave Fatima visionary Sister Lucia the First Saturday devotion, stating: "Look my daughter, at my Heart surrounded with thorns with which ungrateful men pierce me every moment by their blasphemies and ingratitude." Today those thorns are even greater. Your practice of the First Saturday devotion removes them and helps save souls that are in danger of eternal damnation. 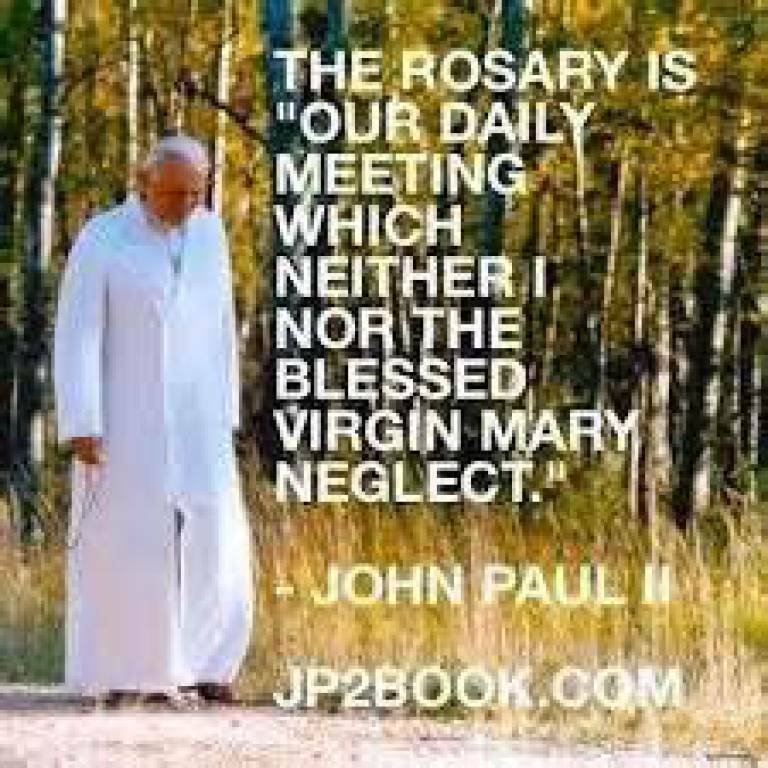 And spend 15 minutes meditating on the mysteries of the rosary, keeping company with Mary. THE SEVEN SPIRITUAL WORKS OF MERCY: 1. Admonish Sinners; 2. Instruct the Ignorant; 3. Counsel the Doubtful; 4. Comfort the Sorrowful; 5. Bear Wrongs Patiently; 6. Forgive All Injuries; 7. Pray for the Living and the Dead. THE SEVEN CORPORAL WORKS OF MERCY: 1. Feed the Hungry; 2. Give Drink to the Thirsty; 3. Clothe the Naked; 4. Visit and Ransom Captives; 5. Harbor the Harborless; 6. Visit the Sick; 7. Bury the Dead. Discover all the best Catholic content in one place. Entertaining movies, enlightening programs, inspiring talks and a great selection of e-books are all just a click away! St. Thomas Aquinas Church has purchased FORMED, a program for our parishioners. Take advantage of your FREE subscription. Visit formed.org with your web browser, click to register at the lower right of the page, then enter parish access code: CMDRM4. 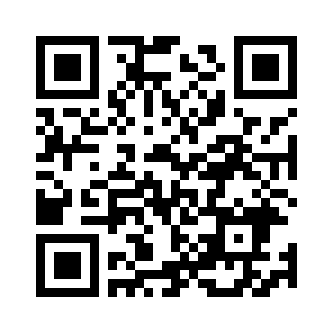 Enter your email address and create your password (you will need this to log in later). Rite of Christian Initiation of Adults (RCIA) is hosted year round. Inquiry sessions are held in the Thissen Center 2nd Floor after 9:30 a.m. Sunday Mass. FMI: Scott Sabol, 832-265-3473. "I am the Lady of the Rosary, I have come to warn the faithful to amend their lives and ask for pardon for their sins. They must not offend Our Lord any more, for He is already too grievously offended by the sins of men. People must say the Rosary. Let them say it every day. " 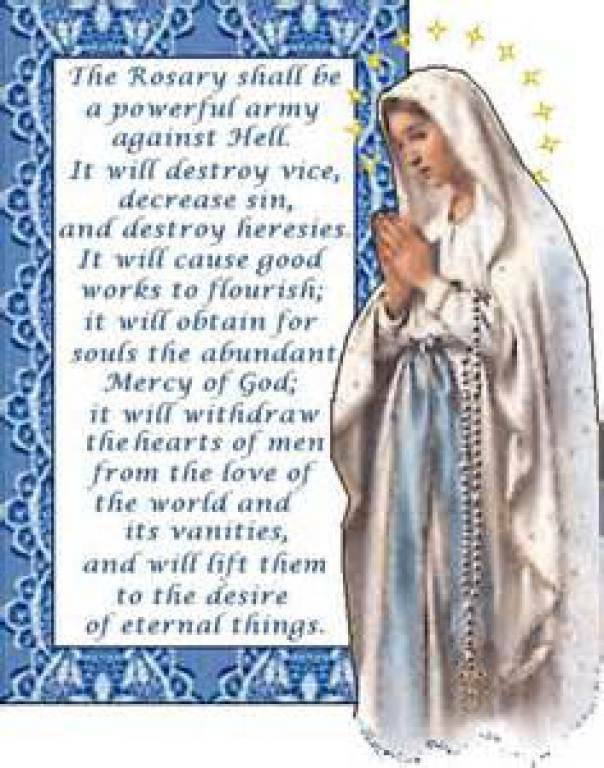 Our Lady gravely said, "Sacrifice yourselves for sinners and say often, especially when you make some sacrifice, 'O my Jesus, this is for love of You, for the conversion of sinners, and in reparation for the offenses committed against the Immaculate Heart of Mary. ' "
St. Thomas Aquinas holds conversational English classes for adults. Classes are available Monday and Wednesday, mornings from 9:00 until 10:30 am and evenings from 7:00 pm until 8:30 pm in the Aquinas Center. STA also partners with our neighboring parish, St. Theresa in Sugar Land, to offer Saturday classes from 9:00 am until noon. If you would like to learn more or volunteer (no teaching experience needed and new volunteers are paired with experienced ones), contact Ben Idowu at learnenglishministry.sta@gmail.com or STA office at 281-240-6721. DSF brings Christ's comfort and care to the many pressing needs that cannot be addressed by one parish alone. Our parish number is 7946. Our parish goal is $78,000. To give online, visit http://www.archgh.org/dsf/. Eternal Word Global Catholic Network makes available Catholic TV, radio, internet, apps. In Memory of: Mother Mary Angelica of the Annunciation, Foundress of EWTN, who was called home by her bridegroom, Jesus Christ, on March 27th, Easter Sunday, during the Marinite Rite vigil of the Annunciation. "Enter" the link above and discover the history, beauty, spirituality and accomplishments of the Catholic Church, founded by Jesus Christ more than 2,000 years ago. The Mass, Rosary, Chaplet of Divine Mercy, Catholic Answers and much more are available via Catholic radio and TV. The Eternal Word Global Catholic Network (EWTN) can be found on cable, internet, apps and local radio 1430 AM. We host year-round Rite of Christian Initiation of Adults. 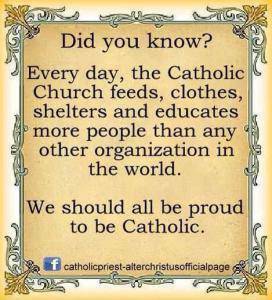 Learn more about the Catholic Faith and explore the possibility of becoming Catholic. Inquiry sessions are held after the 9:30 a.m. Mass every Sunday in the Thissen Education Building, 2nd Floor. FMI: Scott Sabol, 832-265-3473, scott1sabol@gmail.com. YOUR PARISH IS HERE FOR YOU !!! In case of illness, please call the priest. 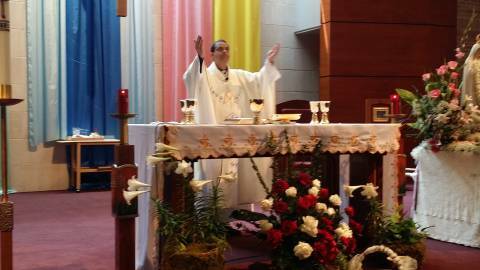 Ministers of Holy Communion are available to bring the Eucharist to the sick who cannot attend Mass. Please call the parish office, 281-240-6721, for assistance. WE PRAY THE ROSARY AT STA!!!! Come half an hour before all weekend Masses to pray the rosary with the Catholic Daughters and the Legion of Mary. The Rosary is also prayed after 8 am morning Masses and before the 6:45 pm Wednesday Our Lady of Perpetual Help Novena and Mass. Pious tradition teaches that Our Blessed Mother gave the Rosary to St. Dominic with instructions to popularize its use, and she has repeatedly asked in church-approved apparitions to pray the Rosary for peace in the world! In his 2002 Apostolic Letter on the Rosary, "Rosarium Virginis Mariae," Pope St. John Paul II added the Luminous Mysteries to the traditional Joyful, Sorrowful and Glorious to give the Rosary "fresh life and enkindle renewed interest in the Rosary's place within Christian spirituality." He asked that the Rosary be prayed for the cause of peace in the world and the cause of the family. The Rosary is not a dry and boring exercise, the Saint reminds us, but a way of concentrating the mind on the particular mysteries and "remembering" with Mary as we pray to Christ and listen in the Spirit to the Father's voice. 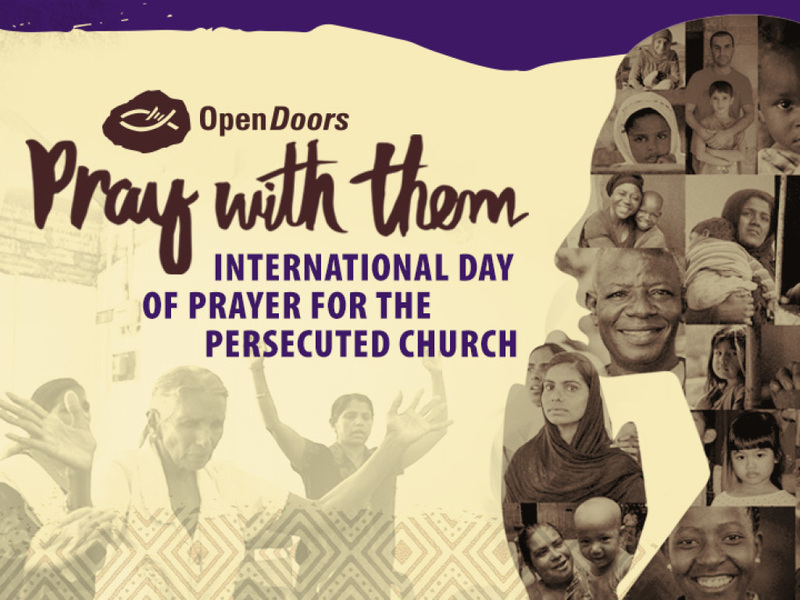 Martyrdom, persecution and suffering remain a part of daily life for tens of millions of the world’s Christians, most so in North Africa and across the Middle East and the Holy Land. The ranks of Christian martyrs have been increasing every day, even as suffering Christian communities display fortitude and trust in the Risen Lord in the face of hatred and violence. Whether prayer is expressed in words or gestures, it is the whole man who prays. But in naming the source of prayer, Scripture speaks sometimes of the soul or the spirit, but most often of the heart (more than a thousand times). According to Scripture, it is the heart that prays. If our heart is far from God, the words of prayer are in vain. -- Catechism of the Catholic Church, #2562. Learn English Ministry teaches English to non-English speaking people free of charge. FMI: Volunteers contact Ben Idowu, Ministry Coordinator - learnenglishministry.sta@gmail.com. Students contact: learnenglishministry.sta@gmail.com or 281-240-6721. For novena prayers and email reminders for ongoing novenas, go to Pray More Novenas.